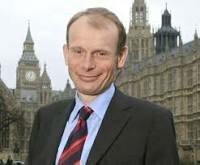 I am a regular viewer of the Andrew Marr show on Sunday mornings and I had completely missed the arrival of Peston on Sunday so I am relying on the Daily Telegraph to report on this TV event. Marr had the edge this Sunday with Prince Harry talking about his Invictus Games and his own personal life issues. However, I have some prejudices about the media which will guide my choice of viewing. First, I detest the sight of a chap on TV with an open neck shirt and no tie. Gentlemen wear ties; it is as simple as that. They also wear a jacket and they do not wear a hat, cap or balaclava on set. I know there are black artists who seem to view a hat as de rigeur. They need to grow out of this and, until they do, I will reach for the off switch. Second, I get very irritated with strong regional accents. We have regional TV which seems to suggest we ought to be able to listen to presenters who speak in a way we understand and enjoy. Living and viewing in the South East, I want to hear RP (received pronunciation) and I do not want a strong north country or Scottish accent. Politically incorrect, I know but I don’t care. Also, I do not want to hear estuary English on the TV or the wireless. Children need to be steered towards speaking coherent RP English and models on the media that do the reverse are to be deplored. This entry was posted in Politics and tagged Andrew Marr, estuary English, received pronunciation, Robert Peston, tieless Peston. Bookmark the permalink.